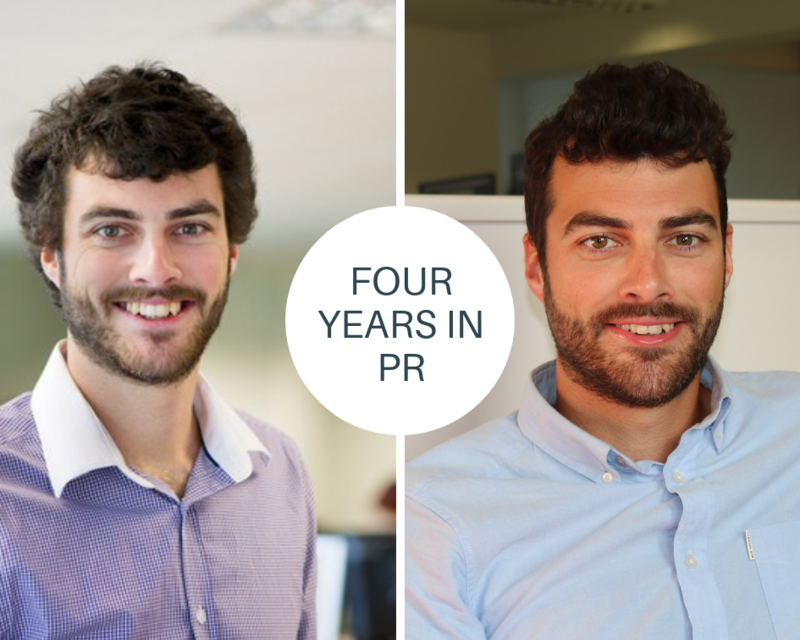 I recently celebrated my four-year anniversary at Orchard PR and you know what they say, time flies when you work in PR (people definitely say that). A work anniversary is a great time to reflect on lessons learnt – so here are four essential tips for anyone looking to get ahead in PR that I have picked up from my first four years at Orchard! This is probably true of any job but if you’re willing to say ‘yes’ and take on challenges you’ll learn a lot, progress in your career and experience new things. In my time at Orchard I’ve been interviewed live on BBC Radio about the De Putron Challenge events, managed the media during a royal visit to Guernsey, been to the London Funds Forum, been entered for awards, joined the CIPR committee and run the PR for a charity fashion show. And that’s just the bits I can remember! Working for an agency means meeting the demands of many different parties – your colleagues, client teams, clients and journalists all rely on you to work effectively and identify and utilise opportunities for PR. This can often be a problem-solving exercise; what’s the best channel to communicate some news? Which key message should be used for which coverage opportunity? How will people react to this information? By thinking things through to their end-point you can anticipate problems and identify possible solutions. You’re being paid for your advice so give it, but make sure you believe in it. In four years I’ve learnt that the only way to be truly satisfied with your work is to give advice that you honestly believe will yield the best result. If you’ve done that then you should be happy that you’ve brought your expertise to bear on their communications activity. You also shouldn’t be scared to challenge a client – they’re paying you for your expertise and they should get it, even if it runs contrary to their original position and provokes a discussion. Clients don’t exist in a vacuum; they live and work in the real world so PR activity should consider this and take advantage of it. By staying informed of the news cycle and reading the day’s headlines or tuning into the radio first thing you can get a great head start on thinking about how what’s going on in the world can benefit your client. If you’re creative enough then virtually any news story can be approached from a client’s perspective and can generate an opportunity for them to get some coverage – and there’s no better buzz in PR than getting some really great coverage!